People rarely associate Judaism with Italy, probably because Rome has hosted the seat of the Catholic Church for close to 2000 years. Jews arrived long before Peter and Paul, however. Indeed, Jewish traders built one of the first (if not the first) synagogues outside of the Middle East in Ostia Antica during the second century BC. Not much of the structure remains, but there is a Menorah sculpted in bas-relief on one of the stones. With time the Jewish population grew, swelled by the arrival of merchants, refugees, slaves. People have calculated that by the reign of Tiberius (14-37 AD) there were more than 50,000 Jews living in Rome, and dozens of Jewish communities scattered throughout the Peninsula. Like their neighbors, they suffered through the thousand years of invasions that followed the fall of the Roman Empire but managed to live fairly peacefully almost everywhere. From Venice, where the Isola Della Giudecca (across the canal from Piazza San Marco) is so named because it was the home of the Jews, to the Arab lands of south Italy. At least until 1492, when the Spaniards finally managed to drive the Arabs back across the Mediterranean into Africa and turned the Christianization of the newly "liberated" territories in Spain, Sicily, and South Italy over to the Inquisition. South Italian Jews (and others who failed the litmus test) fled north to more tolerant regions, where they were joined by Jews from other parts of Europe as well, most notably Spain. Florence, Torino, Mantova, and Bologna all had flowering Jewish communities during the Renaissance. Sadly, little of this beauty remains―the sections of Italy that were most hospitable to Jews in the past were almost all under German control when the country surrendered on September 8, 1943, and following the surrender, the Nazis began deporting with the same frightening efficiency they displayed elsewhere. Those who had noticed either went into hiding or took to the hills; Edda Servi Machlin, whose father was the Rabbi of the Tuscan town of Pitigliano, joined the partisans in the wild hills of the Maremma region. After the war, she, like so many others, had little reason to remain―the places were still there, but the people who made them special were either gone or changed. And thus she left, eventually settling in the United States and raising a family. But she didn't forget her homeland, nor the foods her family ate. Quite the contrary, she has lectured widely on Italian Jewish life and gathered her recollections of life and cuisine into a delightful book entitled The Classic Cuisine of the Italian Jews. 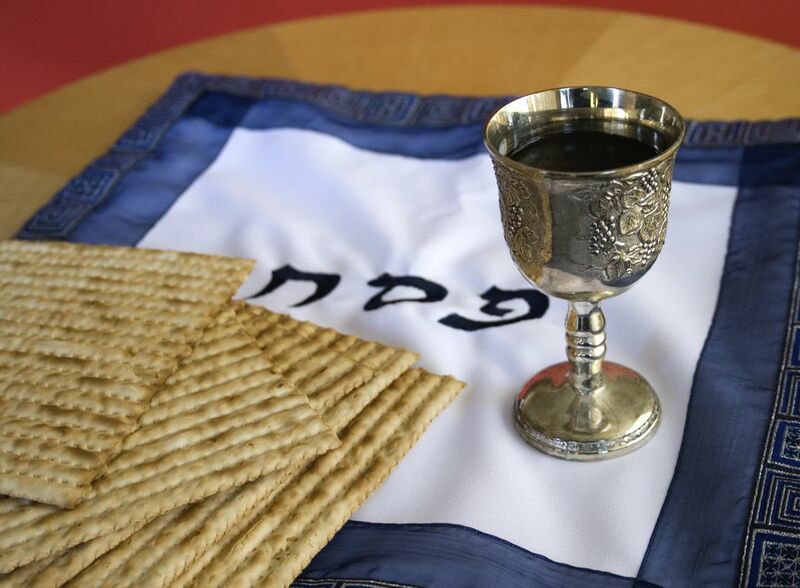 Speaking of Passover, she says that other differences concerning the Eastern European Jewish Seder derive from differences in what is considered Kosher in various Jewish traditions. For example, the Ashkenazim consider rice to be chametz, or leavened, and therefore forbid it, while allowing chocolate, cheese, and other dairy products. The Italkim and Sephardim instead allow rice, but consider chocolate and dairy products to be chametz, and thus forbidden. She suggests sautéed with peas; the link leads to the artichoke page. Neither Mrs. Sacerdoti nor Mrs. Machlin mentions Maror or Haroset in their menus. The former is a salad of bitter herbs that reminds people just how bitter the loss of liberty is, while the latter is a sweet concoction made with honey, crushed nuts and apples that symbolize the stones and mortar the slaves bore on their shoulders.